Update: The Ford Ka Urban Warrior is going into production. 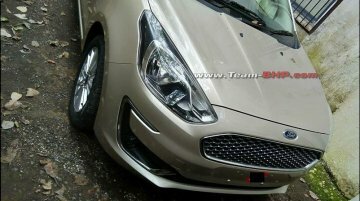 Noticias Automotivas has published a spy shot showing a partially camouflaged unit of the production version. 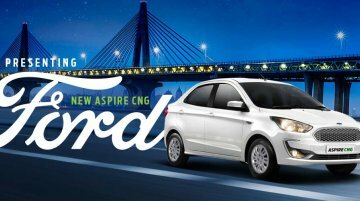 24 October 2018..
Ford has launched the Aspire CNG in India, with prices starting at INR 6.27 lakh (ex-showroom Delhi). The CNG option should significantly boost the car’s sales in the taxi segment. Rival automaker..
GO Automobiles Pvt. 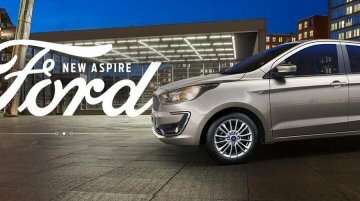 Ltd., the official distributor of Ford vehicles in Nepal has announced the commencement of pre-bookings of the 2018 Ford Aspire (facelift). 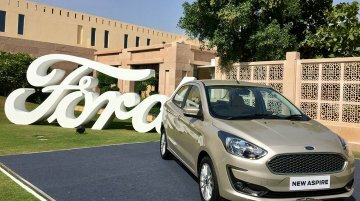 The updated car will be sold in a price..
Prologue The first-ever compact sedan from Ford India – the Ford Aspire – was launched in India in August 2015. 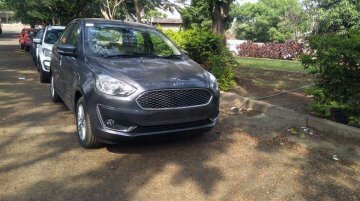 In line with its international brethren, the Ford Ka range, the sub-4-metre three-box.. The 2018 Ford Aspire (facelift) has been launched at a starting price of Rs 5.55 lakh*. As reported on many previous occasions, the mid-cycle facelift offers a host of cosmetic changes, additional.. The 2018 Ford Aspire (facelift), which goes on sale tomorrow, has been entirely revealed in IAB's fresh batch of images and new data from Autocar India. The mid-cycle facelift brings in a handful of..
Prolonging the life of old models by shifting them to the commercial segment has become the norm of sub-4 metre cars. 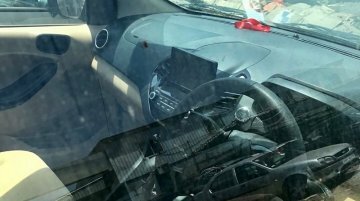 Ford India will copy this strategy for the Aspire, which will get a facelift this..
Sandeep Kolhatkar of Ford FIGO India Owners Group has spotted a fully uncamouflaged unit of the 2018 Ford Aspire (facelift) in Pune. The car wears the 'Smoke Grey' exterior paint job. 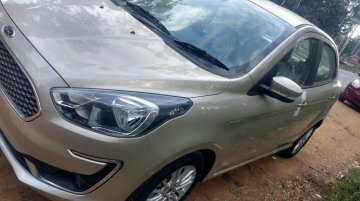 Ford India will launch the mid-cycle refresh for the Aspire on 4 October 2018. 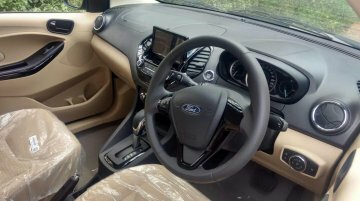 Ahead of the launch, the company has revealed the 2018 Ford Aspire (facelift) on its official website. 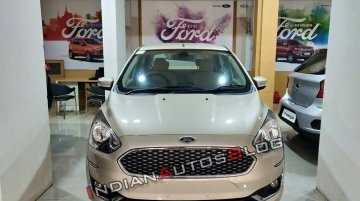 The manufacturer..
As per Team-BHP forum's Nikhil Paradkar, the automatic variant of the 2018 Ford Aspire, which will be powered by the 1.5-litre three-cylinder motor from the company's Dragon engines family, will have.. 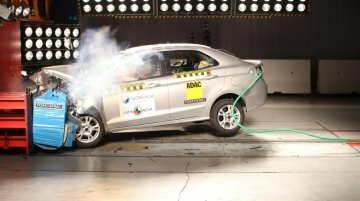 The Brazilian made facelifted Ford Ka Sedan (Brazilian Ford Aspire) that went on sale in June this year was crash-tested by Latin NCAP recently, in which it received a 3-star rating. 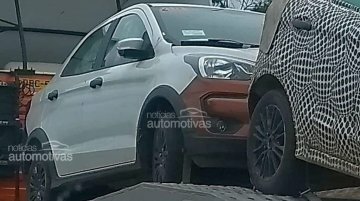 With a..
Team-BHP has come up with a new set of spy images of the 2018 Ford Aspire (facelift). 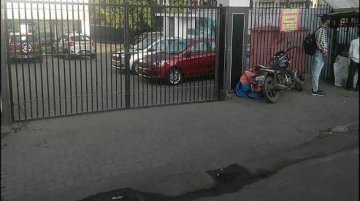 While the updated compact sedan has already been revealed through a video that surfaced last week, the latest.. 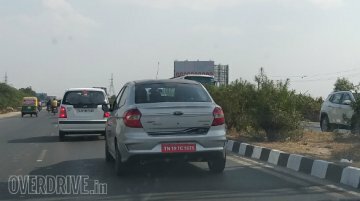 This month Ford India communicated to us that it plans to launch the 2018 Ford Aspire (facelift) on 4 October. 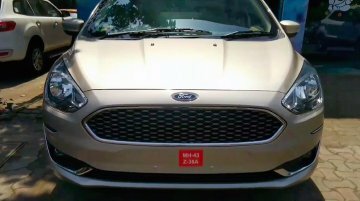 The updated compact sedan has already been revealed through a video that surfaced last we..
Ford India has communicated that it plans to launch a new product on 4 October 2018. 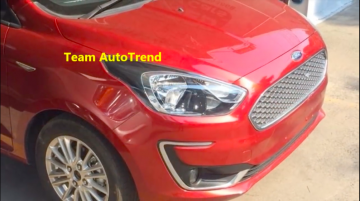 It's quite apparent that the company is talking about the 2018 Ford Aspire (facelift) to take on the latest..
Ford India communicated to us that it will introduce a new product on 4 October. 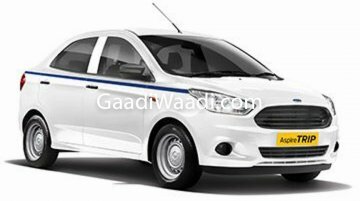 The company is preparing to launch the 2018 Ford Aspire (facelift) to take on the new Honda Amaze &amp; Maruti Dzire,.. 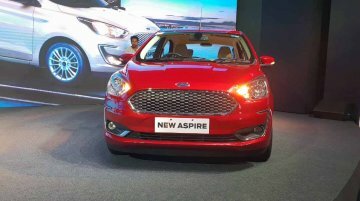 The 2018 Ford Aspire (facelift) will launch in India on 4 October 2018. The new model will feature a handful of styling updates, additional features, and a new petrol engine. A reader of MotorOctane..